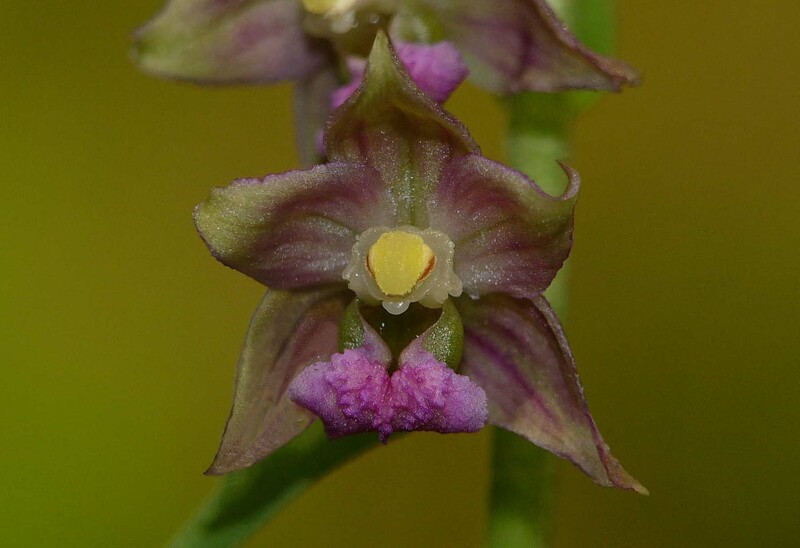 through green to dark pink. 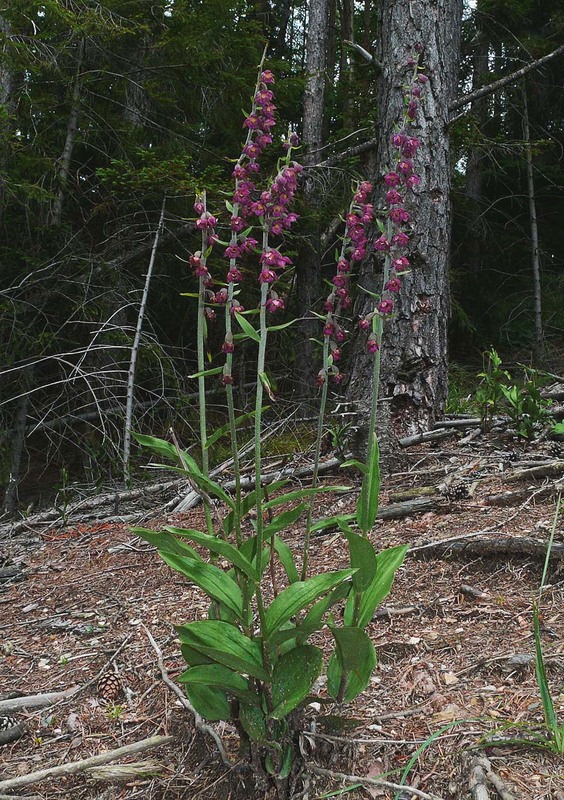 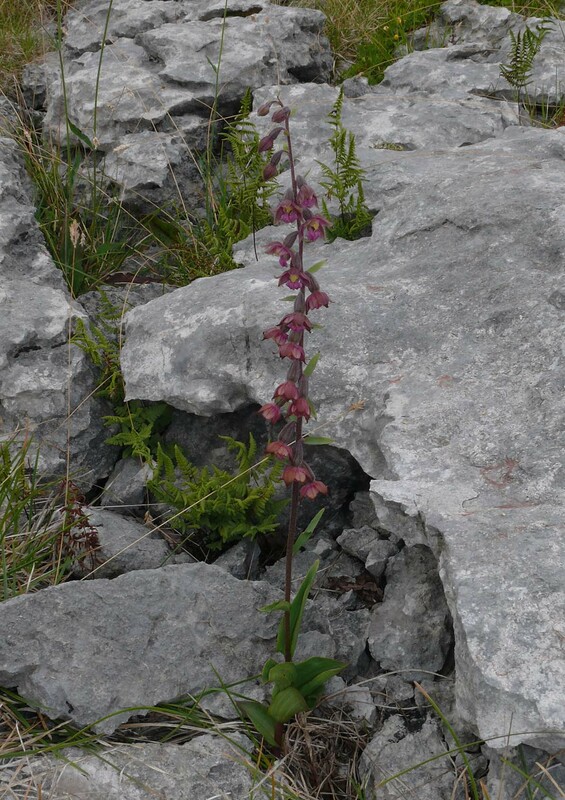 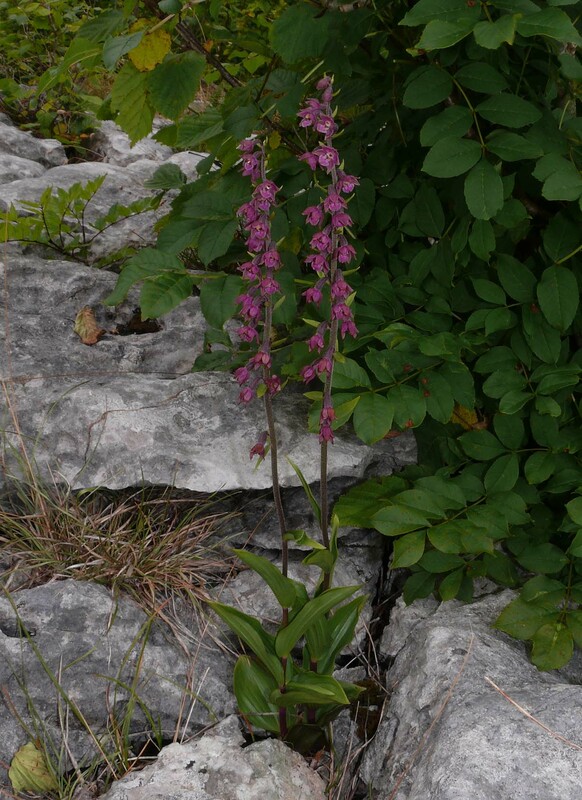 It is one of the commoner and more familiar of the European Epipactis and is known commonly as the Dark Red Helleborine. 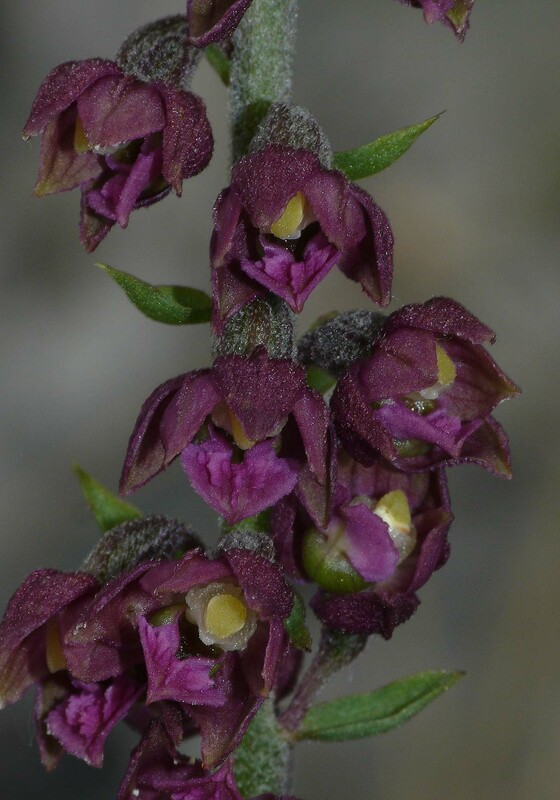 in the illustrations. 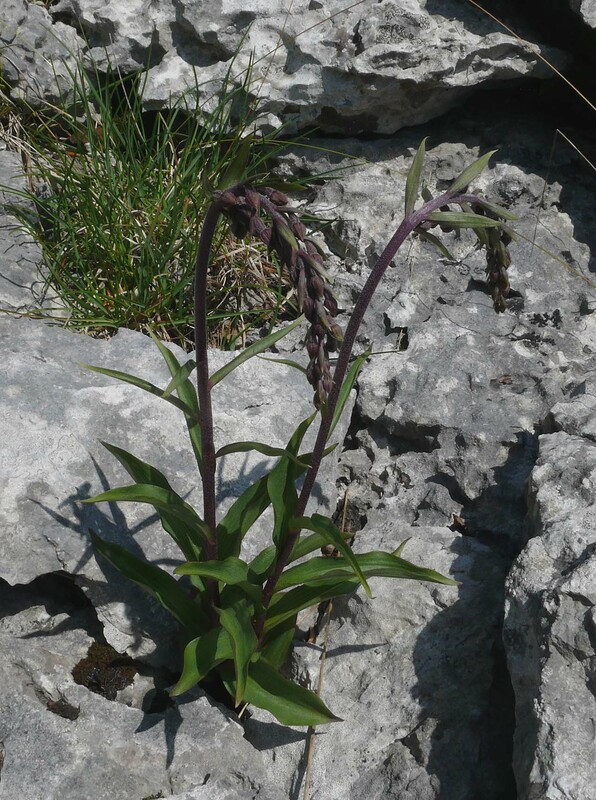 The tall plant depicted in the title photograph comes from the lush environment of a low lying, wet valley in Austria whereas picture 3 is from the high Pennines of northern England where the species ekes out an existence amongst the clints and grikes of harsh limestone pavement. 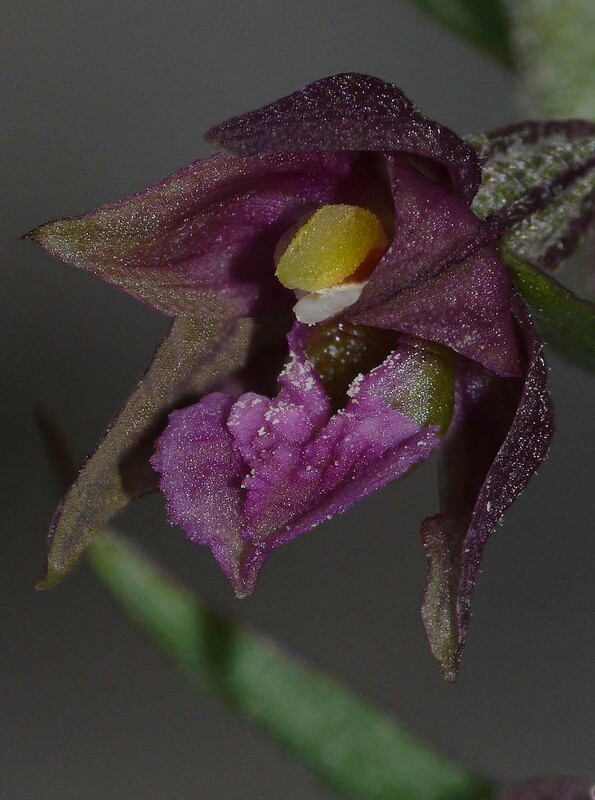 note a centrally divided "crinkly" boss on the lower part of the epichile which is absent from E. helleborine. 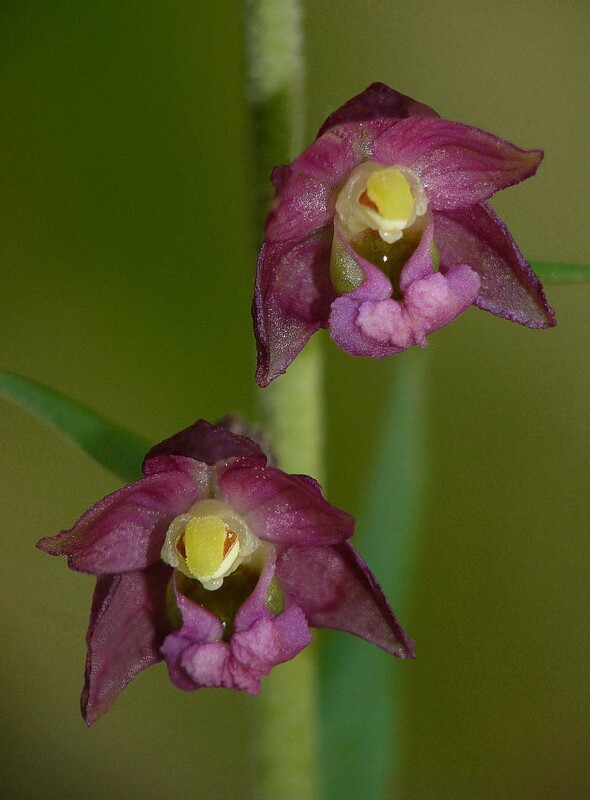 These two species will however hybridize and the results can sometimes be difficult to distinguish. 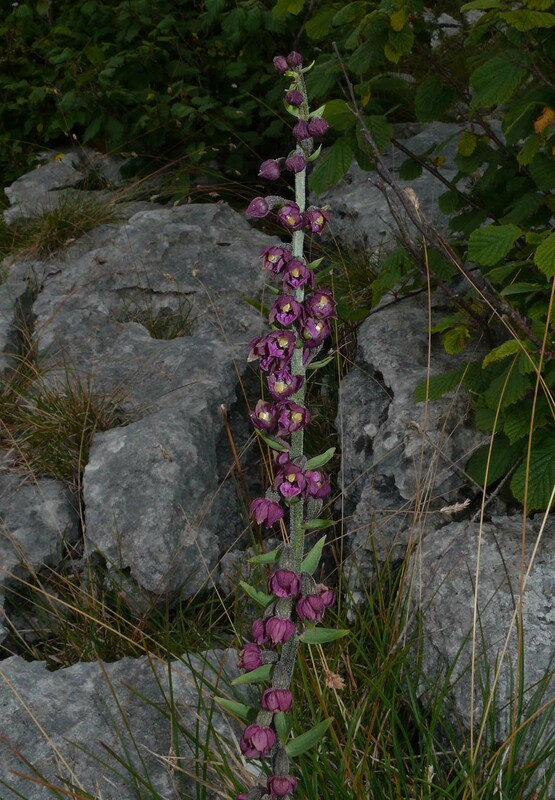 The photos all date from the first two weeks of July.